FINAL SCORE, 20-3: Twenty senator-judges voted to impeach Supreme Court Chief Justice Renato Corona. Only sixteen votes were necessary to impeach the latter from office (two-thirds vote of all Senator). Corona becomes the first Philippine official to be impeached. With this conviction, senator-judges will no longer vote on Articles III and VII. Instead, they will do a resolution informing Corona of the court’s decision. The impeached chief justice is said to be recuperating in the Medical City in Pasig. It remains unclear when Corona will have to vacate his post. 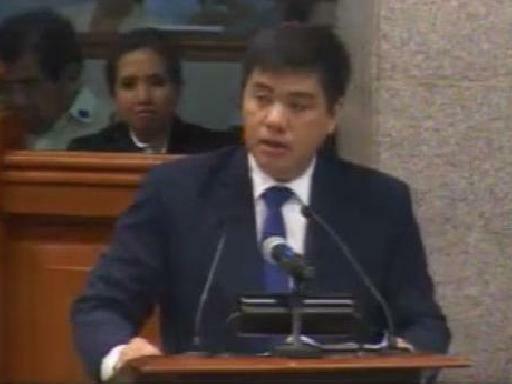 Supreme Court Chief Justice Renato Corona will most likely get acquitted in Article III and VII. The first one charges that Corona flip-flopped on the case involving Flight Attendants and Ste­ward Association of the Philippines (FASAP) and Philippine Airlines. Although it is highly irregular for the Supreme Court (SC) to reverse its own ruling repeatedly, this cannot be blamed on Corona alone. This writer subscribes to the argument leveled by Atty. Dennis Manalo and retired Supreme Court Justice Serafin Cuevas that the SC makes its decisions as a collegial body. In effect, Corona is merely the court’s primus inter pares (“first among equals”). And besides, the High Court has already reversed itself on a number of high-profile cases in the past. In 2004, it flip-flopped on the issue of allowing 100% foreign-owned mining firms to operate in the country (they voted against it before voting for it ten months later). Meanwhile, Article VII centers on the alleged questionable circumstances surrounding SC’s issuance of a temporary restraining order which effectively set aside the Aquino government-issued hold departure order against former President Gloria Macapagal-Arroyo. 2. He did not declare list the money and properties being attributed to him in the said document because those are co-mingled (ergo, not solely his, according to Cuevas). Keep in mind that 16 votes are needed to secure Corona’s impeachment in any one of the three remaining articles. It is reasonable to expect these tnen senators to convict Corona: Angara, Drilon, Estrada, Guingona, Lacson, Osmena, Pangilinan, Pimentel, Recto, and Trillanes. All the rest can swing either way. 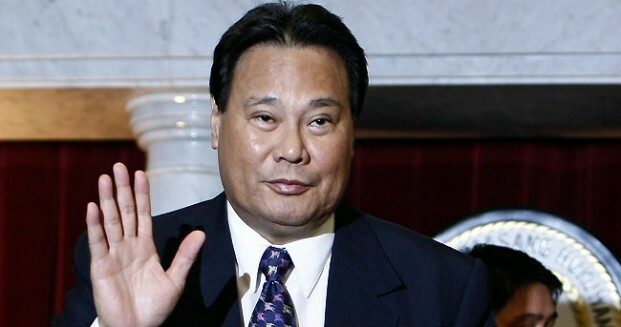 While it is almost sure that majority of senators will vote for Corona’s conviction in Article II, he may be acquitted if the prosecution fails to get the 16 votes necessary to impeach him. Since the prosecution and defense panels are already done giving their respective closing arguments in the 43rd and final day of Chief Justice Renato Corona’s impeachment trial, the senator-judges are now ready to hand their verdict. The decision, whichever way it goes, is bound to be historic since this mark the first time that the Philippines has had a completed impeachment trial. Prior to the Corona case, the only other impeachment suit to reach the Senate was the one against then-President Joseph Estrada. This lasted from December 2000 until January 2001. Because of People Power II, Estrada’s lawyers did not have the chance to present their case. 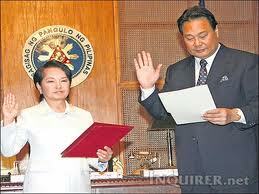 Meanwhile last year, then-Ombudsman Merceditas Gutierrez resigned her post 10 days before her trial was due to start. With those precedents in mind, one can easily understand that the continued call for Corona to resign even while the trial is ongoing is an exercise in futility. It is important for this impeachment trial to reach its just conclusion for Filipinos to know if this constitutional process is indeed working. 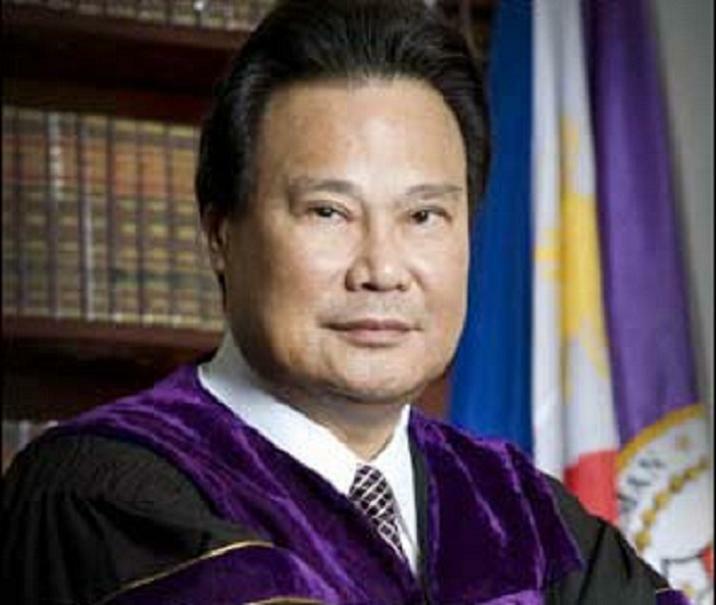 Chief Justice Renato Corona – will tomorrow be his last day in office? The Corona trial seemed to have moved at a faster pace since Senate President Juan Ponce Enrile, acting as the impeachment court’s presiding officer, announced last May 7 that the proceedings should not go beyond May 31. As it is, the body will make its decision two days before that deadline. The Senate just came from a six-week Lenten break when Enrile made the declaration. The 2nd regular session of the 15th Congress will end by June 8. From eight, the number of the Articles of Impeachment against Corona has been reduced to three (Articles II, III, and VII). The prosecution appears to be pinning its hopes on Article II, which accuses Corona of not declaring all of his bank accounts and properties in his annual Statement of Assets, Liabilities, and Net Worth. The affirmative vote of sixteen senator-judges (or two-thirds of all senators) is needed to remove Corona from office. Once impeached, Corona will not only lose his position – he will also be perpetually disqualified from holding any government post. In an interview with radio station DZBB Thursday afternoon, Senator-Judge Edgardo Angara said this will be the sole penalty for Corona in case of conviction. Earlier, Senator-Judge Miriam Defensor-Santiago implied that removal from office is only the main punishment and that Corona can just be censured or suspended. 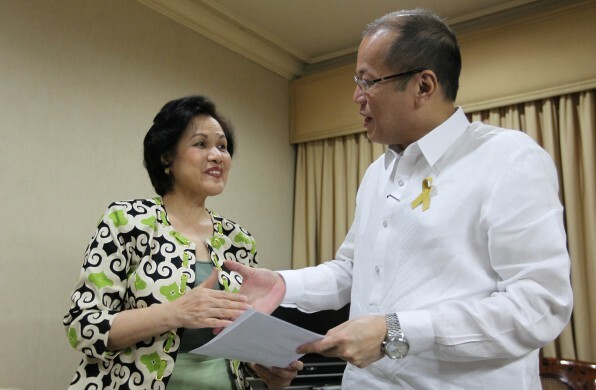 Vera Files’ Ellen Tordesillas reported last year that former Ombudsman Gutierrez’ entered a deal with the Aquino administration. The government will not file any charges against Gutierrez in exchange for her resignation. Her retirement benefits will also be left intact. During his trial’s six-week break, Corona claimed that emissaries of Aquino asked him to resign or avail of early retirement. In case Corona gets acquitted, his victory may be short-lived. The one-year ban on initiating impeachment charges will lapse by December 2012, and the five articles of impeachment dropped by the prosecution early this year can be revived against him. The impeachment court has not yet decided on the defense panel’s motion to consider Corona acquitted on the said five charges (which aims to prevent the prosecution from reusing those charges). One person who has put a lot of political capital (and therefore stands to lose ground if the chief magistrate gets acquitted) in the effort to impeach Corona is President Aquino himself. Former Senator Francisco Tatad warned Aquino that Corona’s non-conviction can turn him into a lame duck president, advising him to begin distancing himself from the proceedings. Ernesto Maceda, another former senator, went as far as claiming that “a vote for Corona is a vote for (Vice President Jejomar) Binay.” Maceda explained that if Corona is ousted, Aquino’s Liberal Party will continue its dominance through the 2013 and 2016 elections. For his part, the president said in an event last February that Corona’s acquittal will derail his government’s reform agenda and fight against graft and corruption. Tomorrow afternoon, we will all know how this winner-take-all high-stakes political drama will end. American music superstar Lady Gaga’s scheduled concert in Jakarta, Indonesia will no longer push through, the singer announced via Twitter. “I’m so very sorry to the fans (and I feel) just as devastated as you if not more,” Lady Gaga said in a message posted evening of May 27 (Asian time). “You are everything to me,” she added. President Benigno Aquino III has shunned a proposal made by Senator Alan Peter Cayetano for his cabinet members to sign waivers to open their financial records to the public. This is in connection to a now-withdrawn dare made by Chief Justice Renato Corona that he will waive his rights under the Bank Secrecy Law and Foreign Currency Deposit Act only if Senator Franklin Drilon and the 188 House solons who endorsed the impeachment complaint against him will do the same. Deputy presidential spokesperson Abigail Valte said it is up to members of the cabinet to open their respective bank accounts. According to the Philippine Daily Inquirer, only four House solons indicated willingness to sign the waiver. One of them is Rep. Antonio Tinio of the Alliance of Concerned Teacher, who expressed his intention via Twitter almost as soon as Corona issued the challenge. In his appearance before the impeachment court yesterday, Corona said that he is now unconditionally opening his bank accounts. 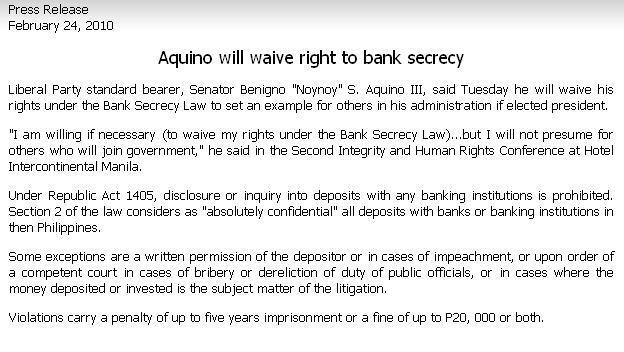 Back when he was still campaigning for president, then-candidate Aquino claimed that he is willing to waive his rights provided under the Bank Secrecy Law “to set an example for others in his administration if elected president.” Read his office’s press release here, dated February 24, 2010. This is not the first time that Aquino had flip-flopped from his previously stated campaign pledges. Shortly before his proclamation as winner of the 2010 presidential elections, Aquino stated that the passage of the Freedom of Information (FOI) bill will be one of his administration’s priorities. Two years into his presidency, the bill remains pending in the congress, and with some media groups saying that it is in fact tougher now to have access to certain government documents. Corona Impeachment Trial Day 40 – Is the game almost over for him? I live-twitted the Day 40 of Chief Justice Renato Corona’s impeachment trial, where the accused himself took the witness stand. When Serafin Cuevas, the defense lead counsel, told Senate President and impeachment court presiding officer Juan Ponce Enrile that his client will be making an opening statement, I thought it will last for just 10 minutes at the most. Corona ended up speaking for three hours. In numerous occasions, Enrile interrupted him to ask how much time he still needs to wrap up his statement. This is like having a human resource officer indirectly telling a job applicant to finish off his or her self-introduction. Speaking for three hours is forgivable, but for a chief justice to give a rambling speech is not. In the first two hours of his statement, Corona somehow managed to squeeze in lots of subjects in the first two hours of his remarks, from his wife’s Katipunero descendant, to the Cojuangco’s Hacienda Luisita, and the family conflict between the Coronas and the Basas. Corona’s two hour verbal diarrhea earned much ridicule online. To me, the best part of his opening statement was when Corona showed a PowerPoint presentation refuting Ombudsman Conchita Carpio-Morales’ accusation that he has $10 to $12 million hidden in 82 bank accounts, saying that he only has four at the moment. He gained points for being able to explain that he does not currently maintain that many bank deposits. Many considered his signing of a waiver giving everyone access to his bank records and list of properties a gutsy move, particularly his dare to all legislators who endorsed the impeachment complaint against him and Senator Franklin Drilon to do the same thing. After that, Corona shot himself in the foot. All of a sudden, he blurted out that he’d like to be excused from the proceedings and immediately walked out of the session hall even if Enrile did not formally discharge him. According to media reports, Corona tried to get out of the Senate building either through the elevator or the fire exit, although he was prevented from doing so since Enrile ordered all exit points closed. His lawyers, apparently caught off guard by their client’s actions, clumsily explained that Corona had to rush out of the hearing area because he is already close to fainting (it was revealed earlier that he is diabetic). Corona’s action is puzzling. Had he gotten his way, he would have been able to unceremoniously sneak out of the Senate building right there and then. If that happened, Corona will be something like a fugitive of sorts, even if he is truly physically unwell. Although Corona’s lengthy opening statement clearly tested Enrile’s patience, he still let the former finish his piece. It is only right for Enrile therefore to expect Corona to observe proper courtroom decorum. Because of Corona’s erratic behavior, the viewing public now focused more on his apparent walkout rather than on his rebuttal of Carpio-Morales’ testimony. 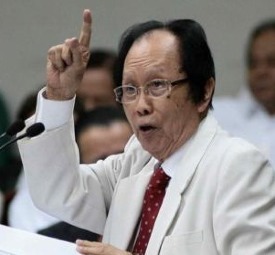 Acting like a disrespected grandfather, Enrile warned Corona’s lawyers that if the Chief Justice does not want to be cross-examined, his three-hour testimony will be stricken off the record. He added that he will also make his fellow Senator-Judges render a judgment on the trial soon after. As it is, Corona’s actions set in motion many things that are now beyond his control. He is now compelled to undergo cross examination this Friday, May25, despite his supposed medical condition. And with final oral arguments set on Monday, the Senate is bound to wrap up the five-week old trial as early as Tuesday. The winner-take-all political battle is finally headed to a conclusion. ving �r mn@p� officer indirectly telling a job applicant to finish off his or her self-introduction. Speaking for three hours is forgivable, but for a chief justice to give a rambling speech is not. In the first two hours of his statement, Corona somehow managed to squeeze in lots of subjects in the first two hours of his remarks, from his wife’s Katipunero descendant, to the Cojuangco’s Hacienda Luisita, and the family conflict between the Coronas and the Basas. Corona’s two hour verbal diarrhea earned much ridicule online. Corona’s action is puzzling (aside from being detrimental in his aim to sway public opinion to his side). Had he gotten his way, he would have been able to unceremoniously sneak out of the Senate building right there and then. If that happened, Corona will be something like a fugitive of sorts, even if he is truly physically unwell. Although Corona’s lengthy opening statement clearly tested Enrile’s patience, he still let the former finish his piece. It is only right for Enrile therefore to expect Corona to observe proper courtroom decorum. Corona’s action set in motion events that are now beyond his control. If he fails to appear on the court come Friday, the Senate can ask the defense to rest its case and submit their formal offer of evidence. And with final oral arguments set on May 28, this five-month old political drama may be over by Tuesday. 1) The contents of the first two hours of his opening statement was disorganized. As noted above, Corona’s high time came when he made that PowerPoint presentation. Things could have been better if Corona made his opening statement more concise and straight on. 2) He forgot the limited attention span of his listeners. By the time he presented his slideshow, most of his target audience must have already lost their attention. 3) What non-verbal message will his apparent walk-out convey to the senator-judges and the public in general? Certainly not the way he would have want it.